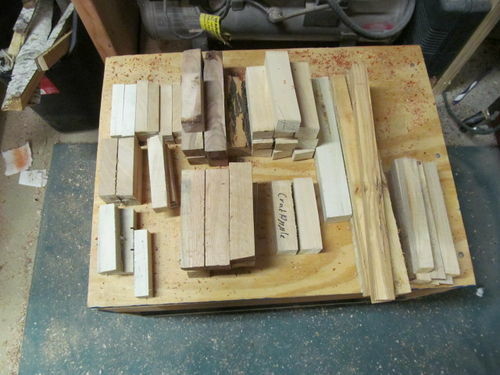 Assorted woods include: Thunder Plum, Holly, Red Oak, Birch, Beech, and a few more I forget. Next step cut to blank size. Plan on doing a little bit of experimenting this year with mandrel created ornaments.